I’m sure that by now most of us have heard of The Granta Book of the African Short Story. It is edited by the Nigerian author Helon Habila. I listened to a BBC program in which Mr. Habila gave the impression that the short stories is somewhat neglected in African literature. So I guess, it’s thanks to Granta for reviving the form. Hhmm… Of course, I disagree with his assessment of the African short story. Anthologies of African literature are always problematic. 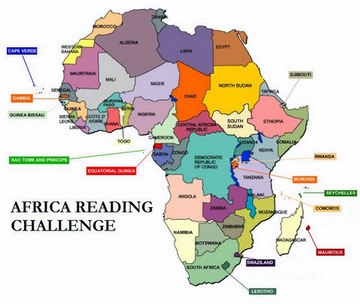 Africa is huge and very diverse; how exactly does one anthologize that? Note to self: Big question for which I have no answer will spoil the fun, so ignore. An incomplete list but a good place to start. Or, search for names and titles in this note. And 32 will be on …. Politics and Social Justice in African Literature Today. Great collection of anthologies listed here. I keep trying to think of more but haven’t been able to yet! Would someone please recommend to me a good novel set in one of these countries – ideally written by someone who grew up there? – Senegal, Ghana and Kenya are the three countries I’m looking for at the moment, so I can post book recommendations at http://www.holidayread.com . Thank you for your suggestions! I agree Kinna. It is always difficult to define but that should be our asset, so that we could put together a lot of different anthologies. Should one go according to the regional blocks and if so should it be a proportional representation? Have read one or two of the anthologies above. And in addition to the Caine Prize accrabooksandthings mentioned you could also add African Roar, having published two anthologies so far. I’m not the biggest fan of short stories but I’m trying to get into them. Finished reading African Love Stories the other day, which I loved (and just might change my view of short stories). Thank you for this list. I recently won African Love Stories and am really looking forward to reading it. Thanks for giving me some more ideas for expanding my reading. Love, love , love African Short Stories . Enjoy reading the anthology. Hm, I don’t have the impression the short-story is neglected in African literature. José Luandino Vieira, Ondjaki and Mia Couto are especially famous for their short-stories. Yep, so Habila’s claims are odd but I guess it had to do with marketing the Granta collection. I have The Granta Book of the African Short Story, picked it up last year in one of my favourite charity bookshops, have yet to read t though, hopefully will do so this year. I have not read any of the list in the post. I am hoping I get my hands on The Granta Book of African Short Stories soon. I purposefully left those off the list. I had a good reason after thinking it through but now I cannot remember. I will talk about the Caine Short stories when I do a post on individual short stories. But thanks for pointing out the Caine anthologies. this list is wonderful and I shall recommend a few for our anthology month of reading. I have had Yvonne Vera’s Opening Spaces on my reading list for like a month now.